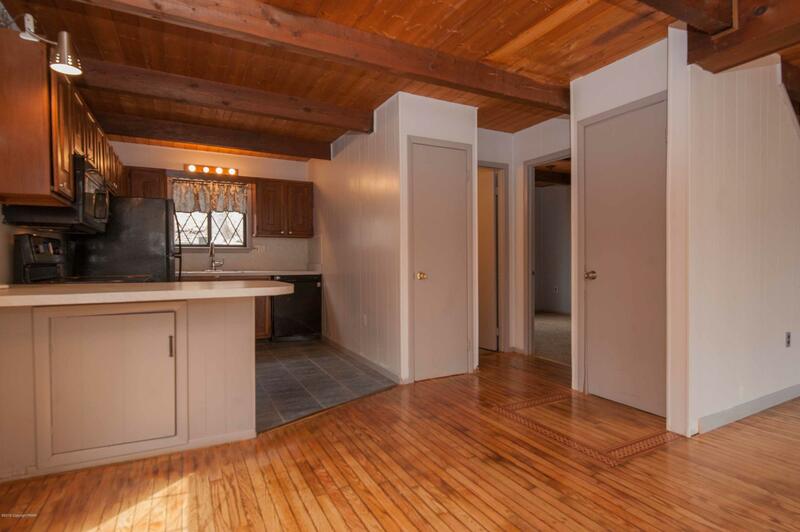 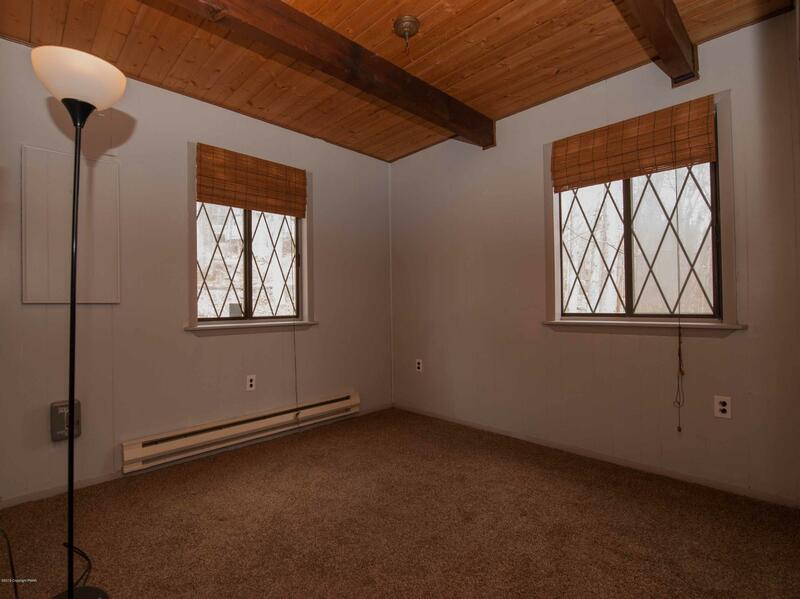 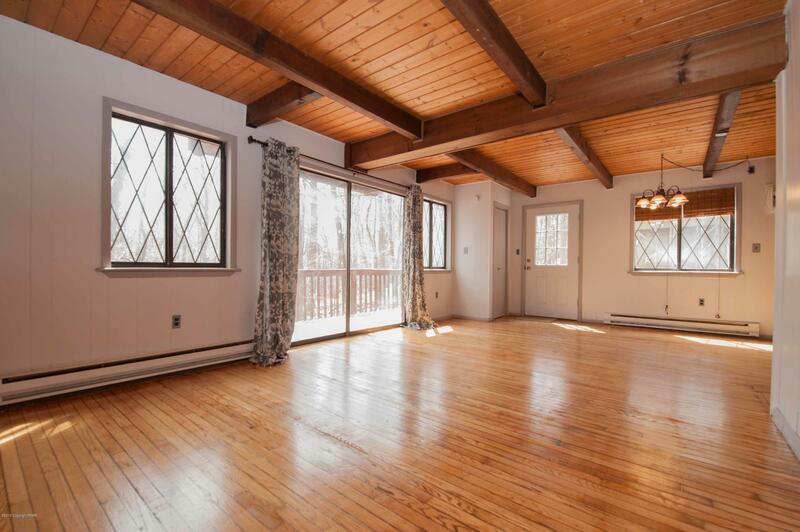 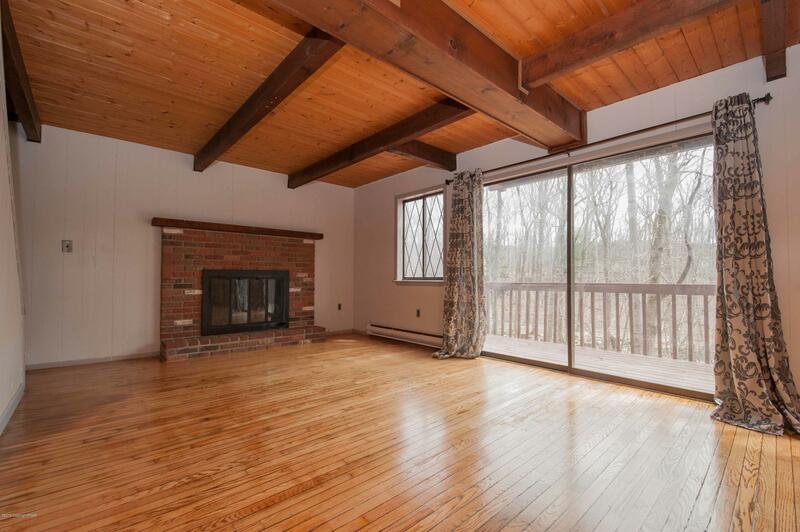 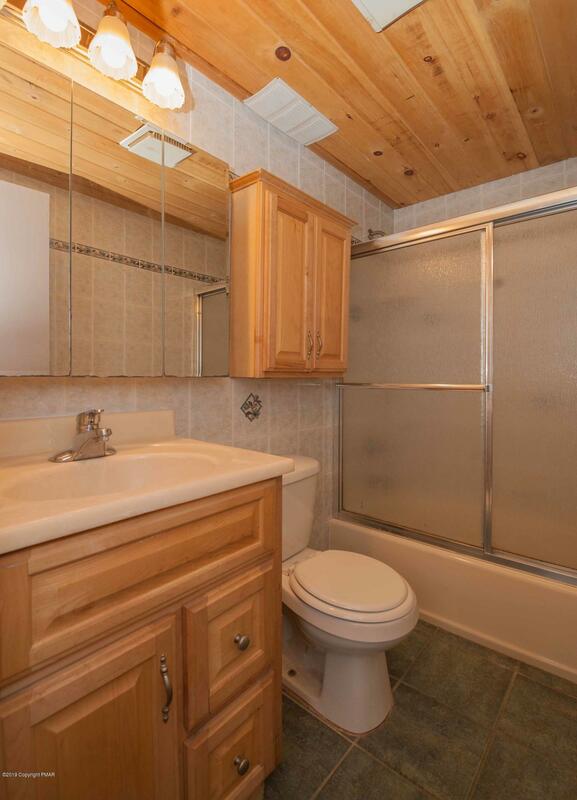 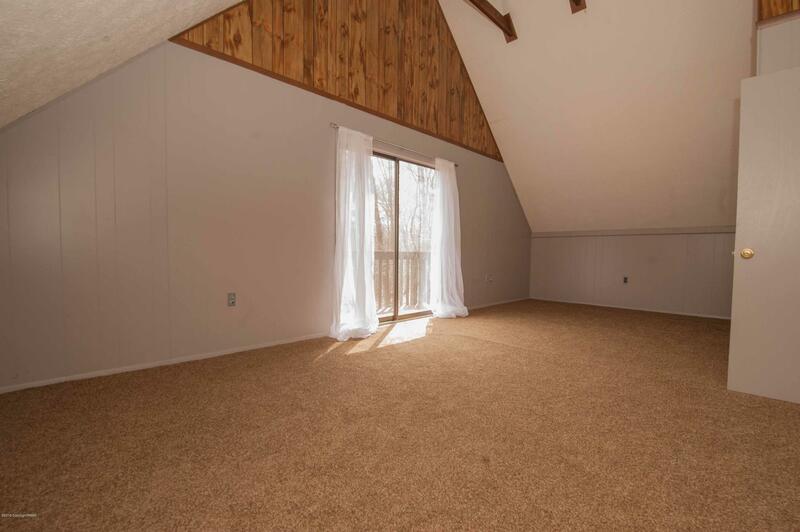 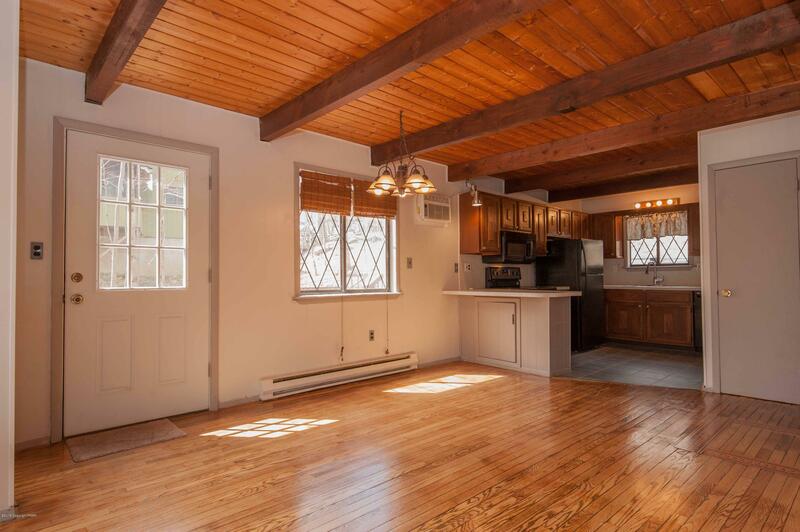 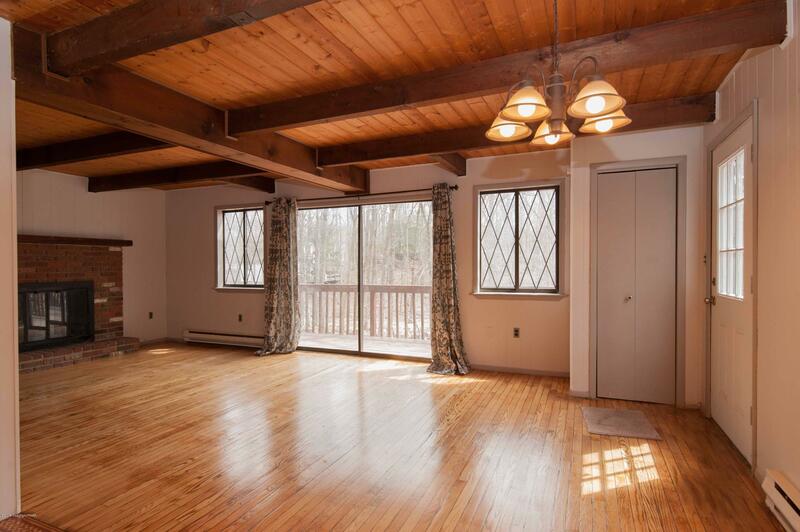 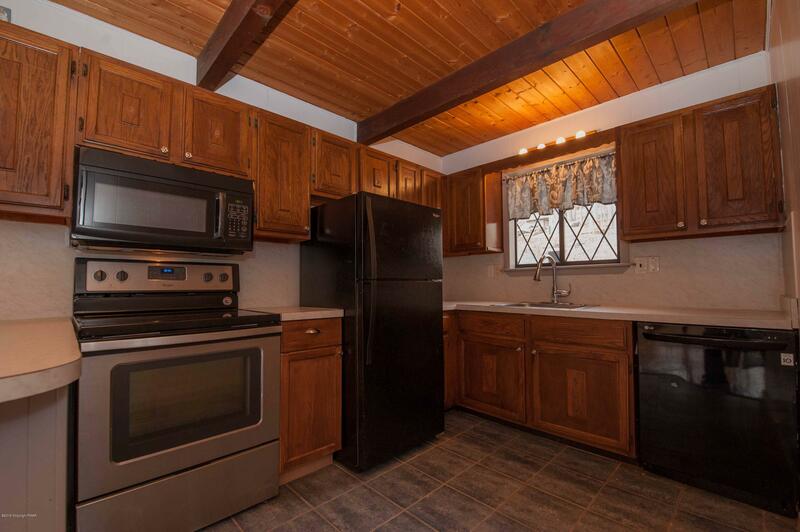 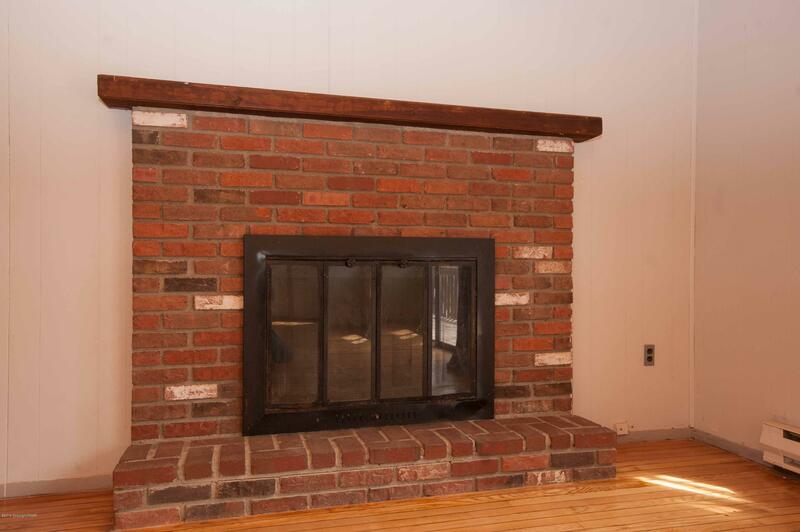 RUSTIC and COZY this 4BD 2 FULL BA, Contemporary home features beautifully finished WOOD FLOORS, KNOTTY PINE CEILINGS w/EXPOSED BEAMS, you will feel right at home sitting next to the wood burning FIREPLACE. 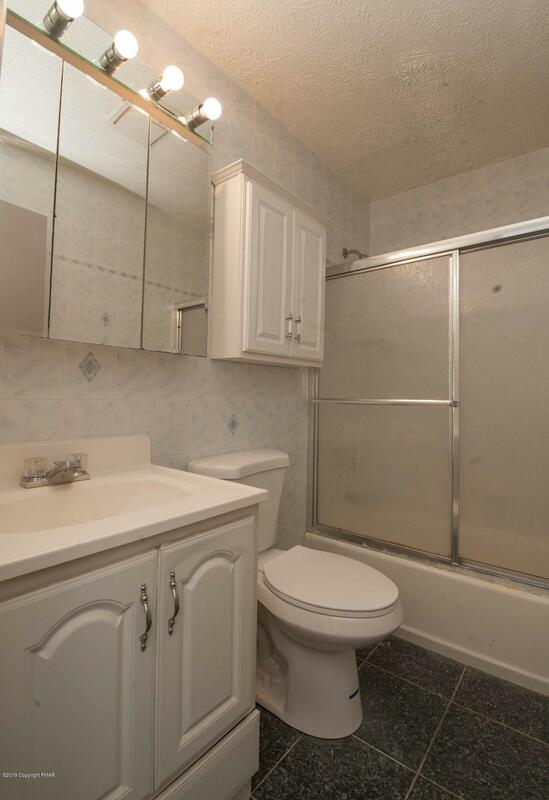 Newer appliances, Tile floor in the kitchen & Updated Tile Bathrooms, gives a modern feel to balance the home in functionality. 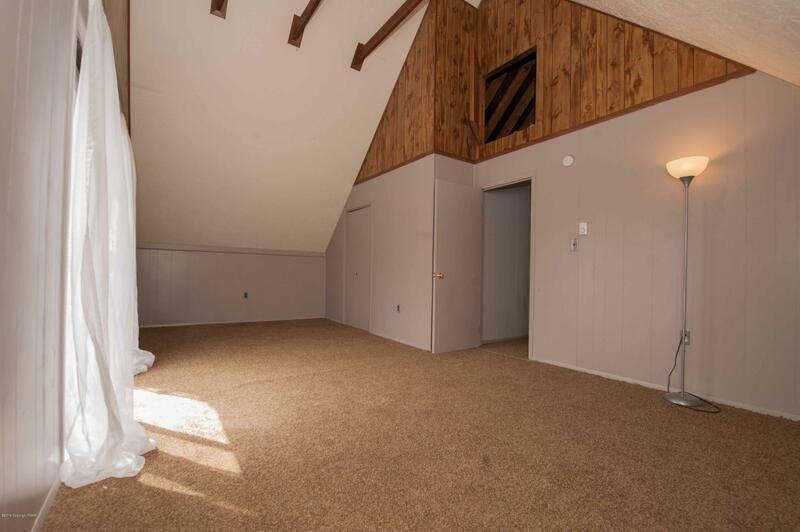 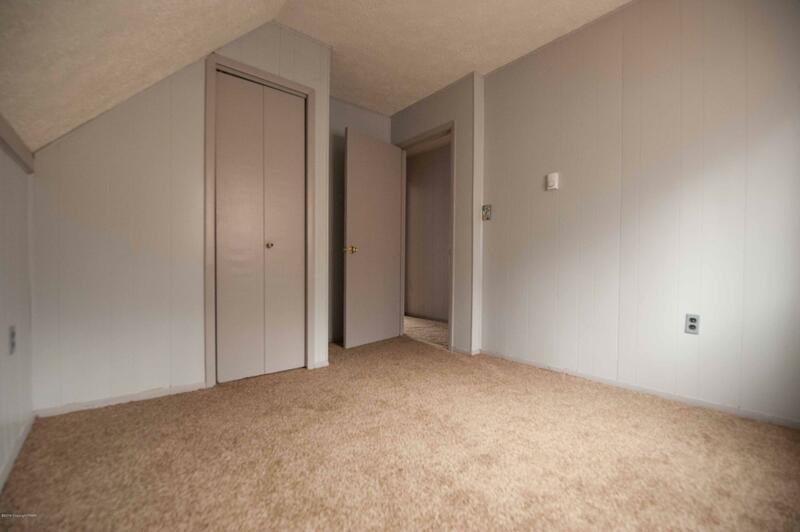 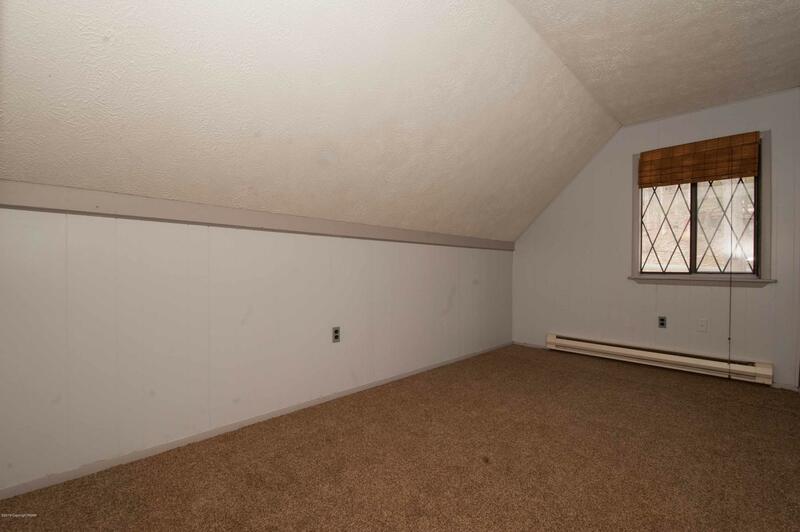 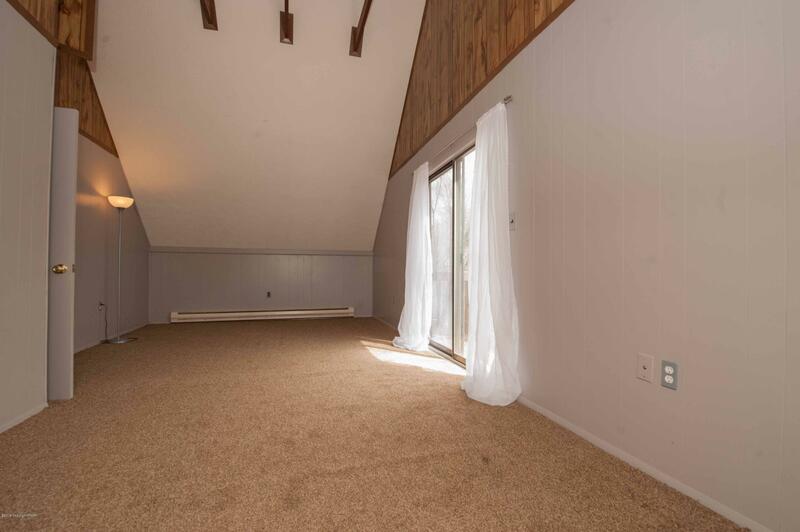 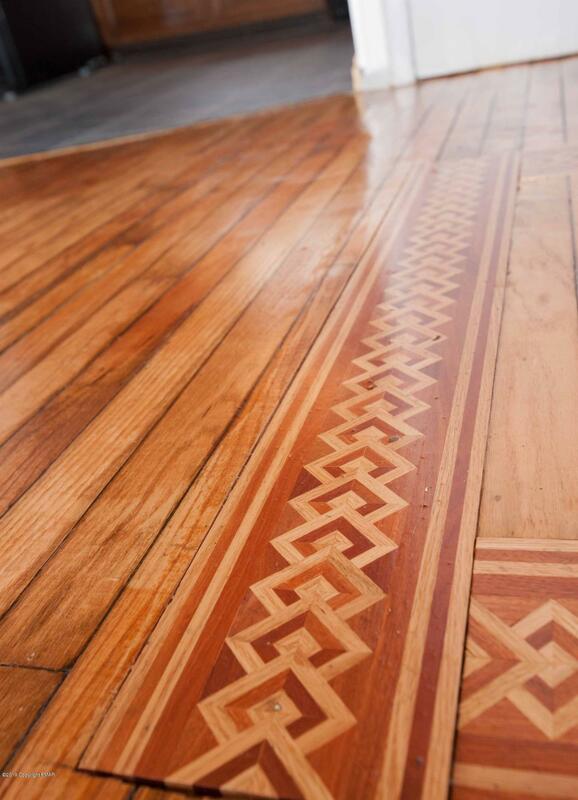 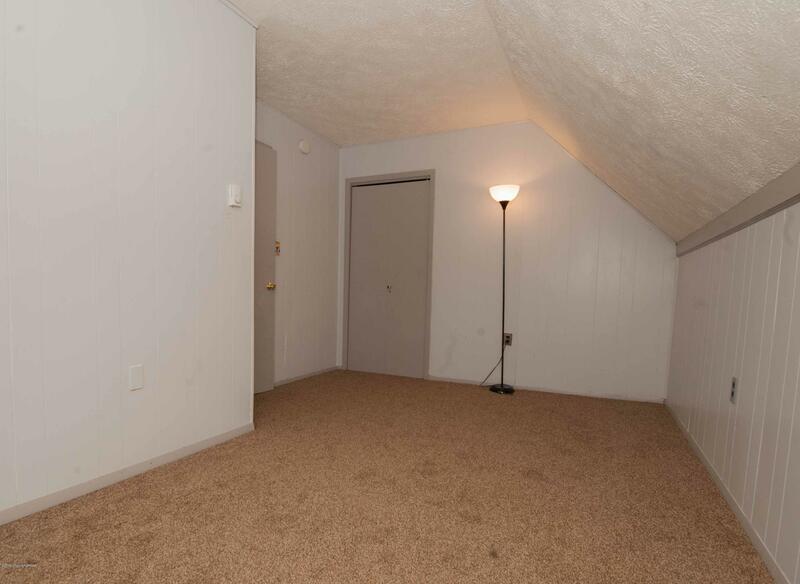 New Carpet throughout the second floor w/ a Huge Master BD featuring a Private Balcony to relax on. 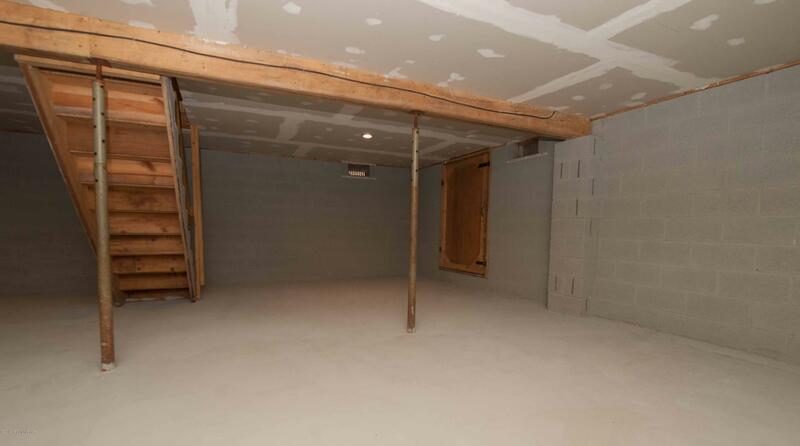 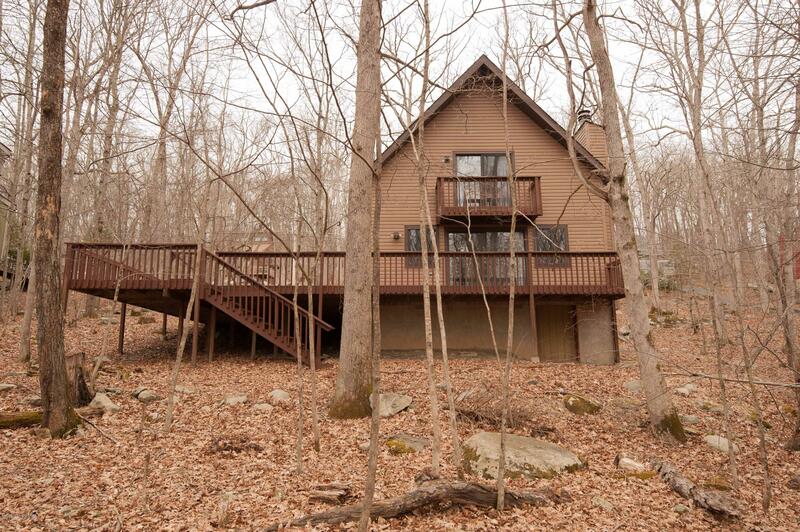 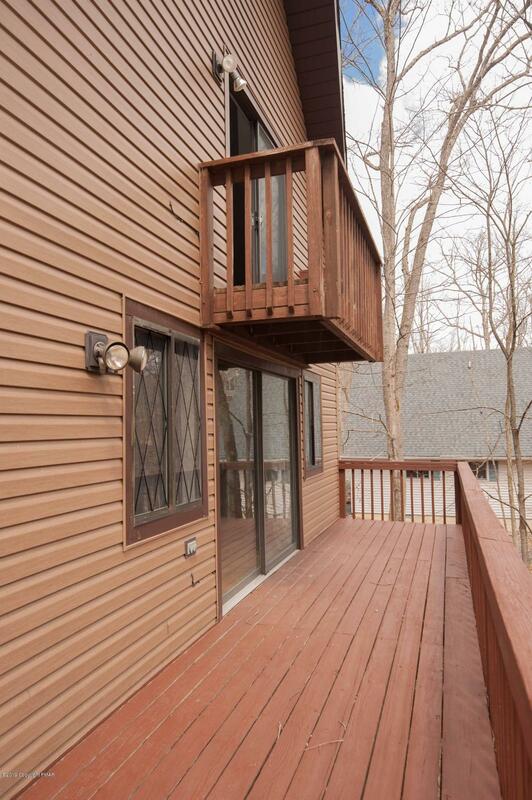 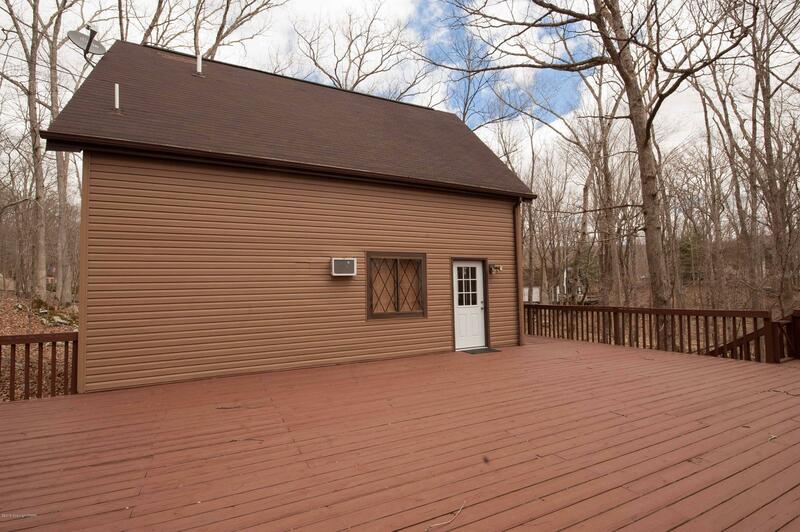 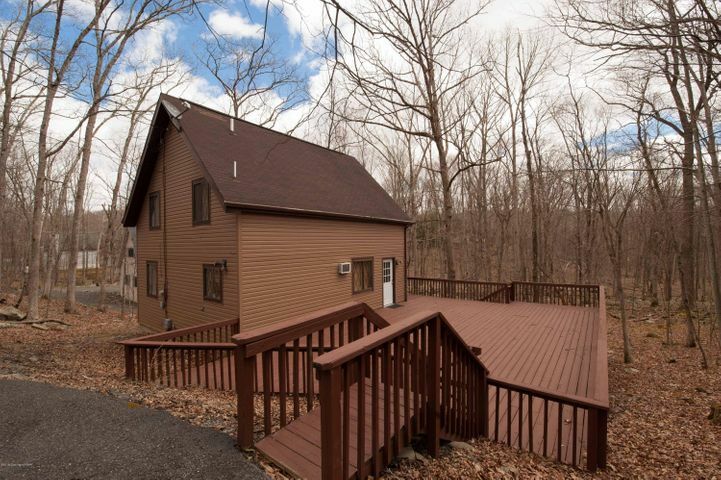 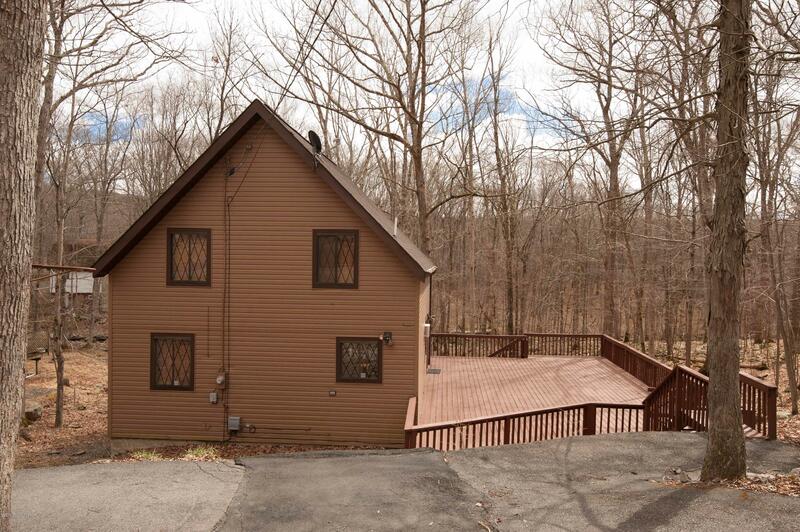 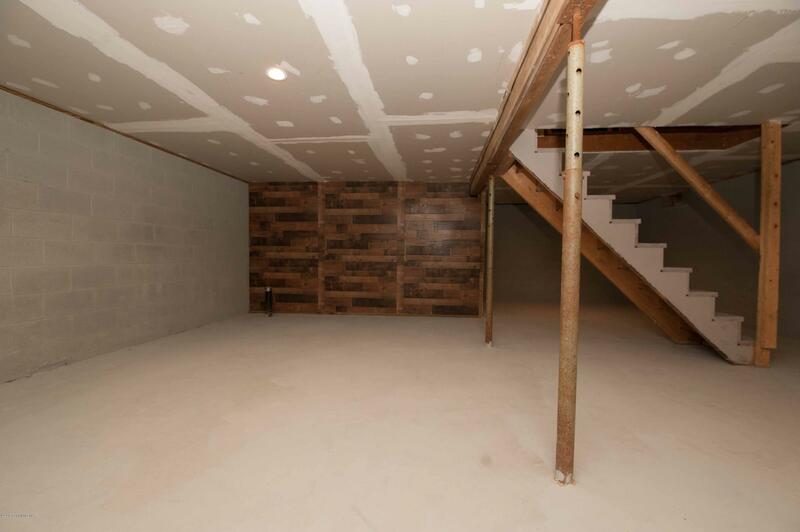 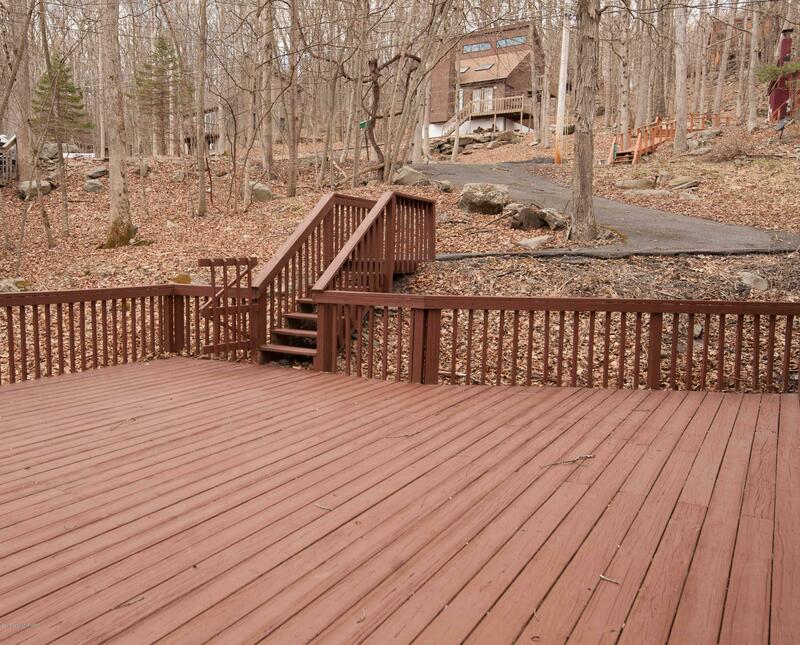 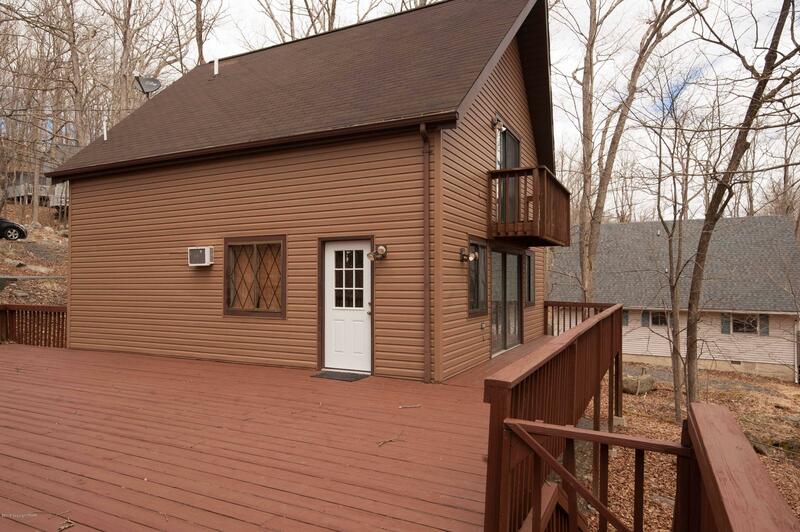 The oversized main deck is plenty of room for entertaining and parties during the summer months! 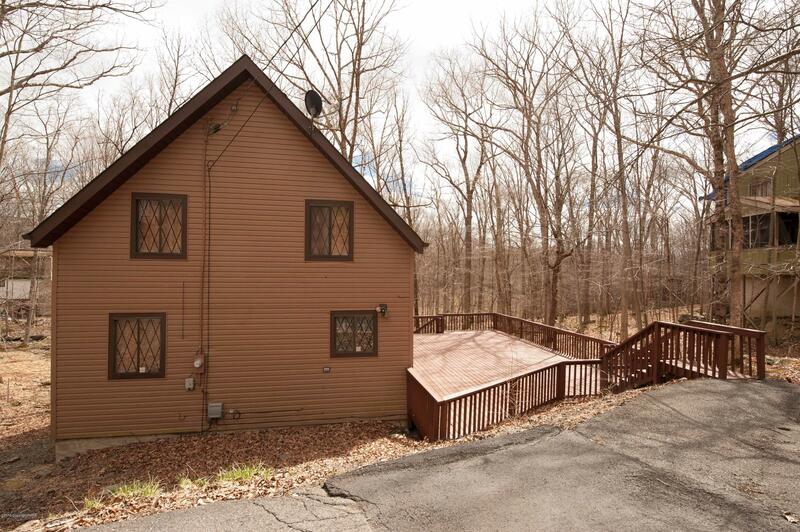 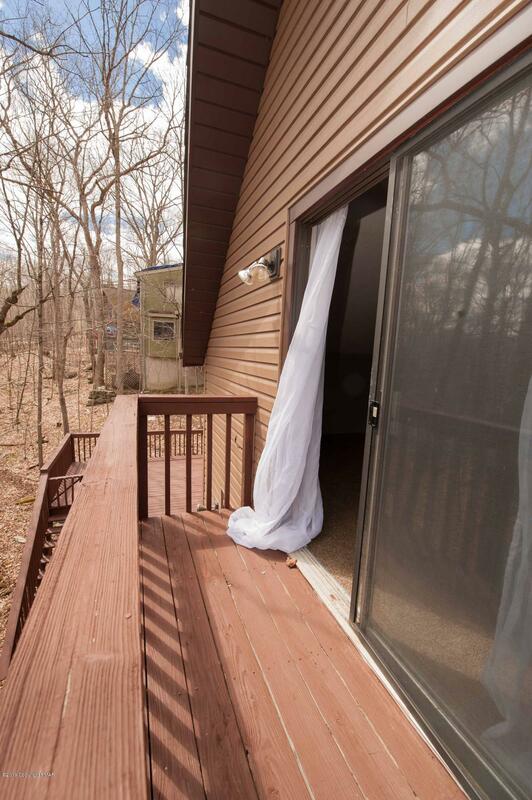 All this in Pocono's SAWCREEK ESTATES offering indoor/outdoor pools, lakes, skiing, playground, & tennis, this home is your perfect home away from home or a well appointed primary residence!